When was the last time you set a small goal for yourself ... crushed it and celebrated? For me, it was yesterday. Well, I set the goal about a month ago, but I achieved it yesterday and celebrated myself like I had won the lottery. I do that for just about every benchmark I surpass in my life — spiritually, professionally and everything in between. It helps me to stay encouraged and it has strengthened my ability to self-motivate. 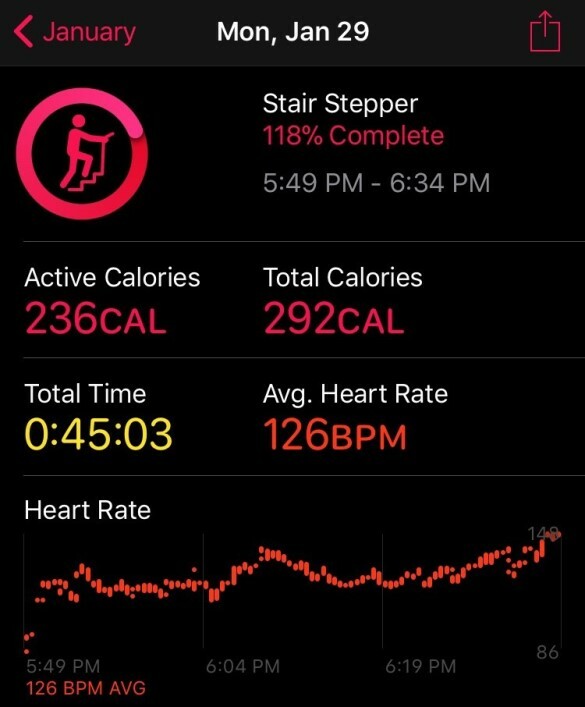 When my Apple watch crossed the 45-minute mark and buzzed on my arm, I started clapping mid-stride as if I was crossing the finish line of a marathon. I mean, I felt like that because when I started using my stair stepper, my stamina was so low. I could only do about 7 minutes without stopping before my muscles felt tight and my legs burned too much for me to continue; that was Dec. 31. In my last post, I talked about giving yourself time to make progress. It took me exactly 30 days to get to 45 minutes on my machine. I started with two 7-minute sessions — taking a two minute break in between, and then moved up to one 15-minute session the next week. A few days later, I was able to go 21 and then 25 minutes without looking down at my watch. I don't see the benefit of it yet on my body, but being able to do more lets me know that progress is happening and that better is going to show up soon.